The key to transforming the physical store lies in driving valued customer relationships, providing personalised in-store services and selling the lifestyle associated with a luxury brand. As luxury brands become accustomed to the intricacy of digital marketing, physical stores are raising their game, drawing upon increasing levels of brand authenticity and experiential tactics to win over consumers. With digital making it easier than ever to browse and buy instantaneously, the purpose of physical stores has shifted from driving transactions to driving more valued relationships. Bricks-and-mortar stores are transforming into spaces that enable experiences that fit seamlessly into a consumer's lifestyle. Failing to keep tabs on this evolving function of stores does come at a cost – with household names such as Macy’s and Abercrombie & Fitch among those retailers axing hundreds of units as a consequence. Yet it’s definitely not all doom and gloom. Bain & Company predicts that stores will continue to play a critical role in the luxury market, with 75% of purchases still expected to occur in a physical location in 2025. This, combined with the fact that 52% of consumers think in-store sales assistants are vital to purchasing, shows stores are here to stay. What will certainly change is that the physical location will not just be there for transactions. Increasingly we will see more stores selling the lifestyle associated with that brand, elevating it beyond a simple shopping experience. Take fitness brand Sweaty Betty’s flagship store in London. The newly launched store combines three floors of fashion, fitness, food and beauty - including a studio space for exclusive wellness events and even a blow-dry bar. Similarly, U.S. retailer Nordstrom is launching a new take on the department store model by focusing entirely on services. 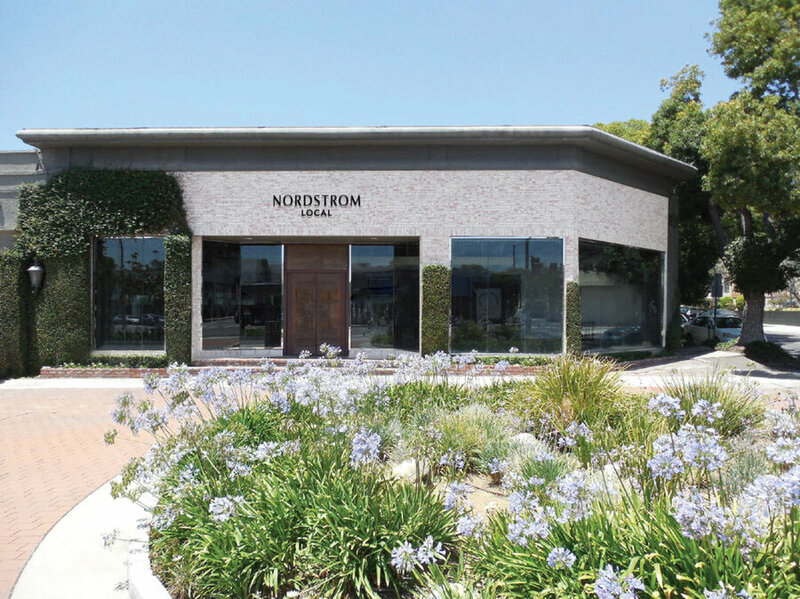 Rather than having a dedicated inventory of products, its new store in West Hollywood, Nordstrom Local, will focus on personal services such as personal styling, beauty and tailoring. Most notably, it won’t contain any clothes to buy – only to try on. The idea is to keep consumers from feeling overwhelmed by too much choice – something that is experienced increasingly today with the vast amount of options available online. With stylists on hand to guide shoppers to a personalised wardrobe, customers can then order online to be delivered to the store that same day. If shoppers want to wait for the clothing to arrive, they can have another glass of wine or indulge in a pedicure – with tailors available on-site to make any alterations. By doing this, Nordstrom has blended the convenience and speed of online shopping to its tactile bricks-and-mortar environment. It’s well known that the best customer experiences lie in the adoption of an omnichannel offering. And unsurprisingly digital plays an increasingly critical role in the customer journey – with online interactions influencing over 70% of luxury purchases (Bain & Company). Luxury brands that deepen the connection between the in-store and online experience will reap the rewards. One brand already doing this is Hugo Boss. It launched Boss On Demand, a multichannel shopping experience designed to combine the diverging strengths of in-store and online shopping. The service uses Uber to provides complimentary door to door transportation for customers to make shopping with BOSS more convenient. As the retail landscape continues to transform at an unprecedented pace, the one thing we know that remains constant is that customers continue to value great experiences, service and convenience. In retail, as in fashion, no one size will fit all. Brands that will do well are finding new ways to engage with customers on their terms, and in-store experiences that offer the ultimate differentiation and convenience can do just that.